Now running for Congress as a political novice, Fletcher wants to win a seat representing some of Houston’s toniest enclaves that had already been Republican-controlled for 25 years on that scorching August day — and have remained so for the quarter century-plus since. 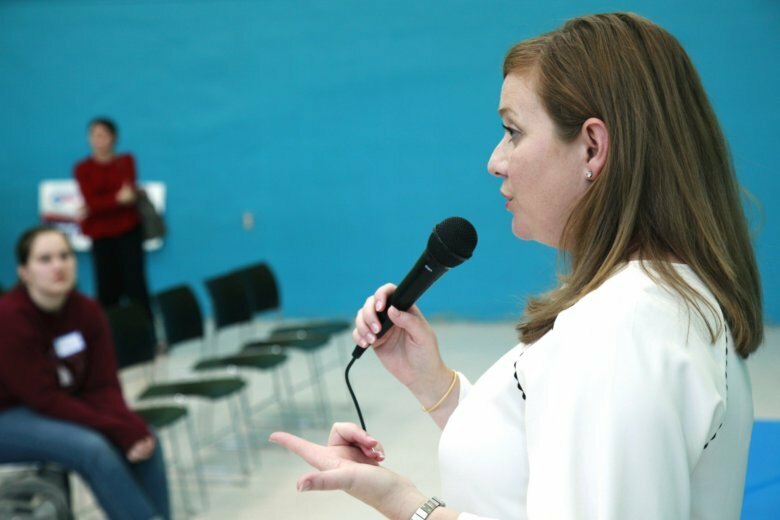 The district chose Hillary Clinton over Donald Trump in 2016, and Fletcher is hoping that voters disillusioned with the president — especially well-educated women — can help her topple nine-term Republican incumbent Rep. John Culberson. Suburban women souring on Trump, even when they previously supported Republicans, have lifted Democrats to upset victories or near ones during recent elections in the Washington suburbs of northern Virginia, in Pennsylvania, Georgia and Ohio. Similar party-switching women could help flip congressional seats in states like New York, New Jersey, Illinois and California in November. But such defections may be harder in a race where the challenger is so proudly pro-abortion rights, especially in deep-red Texas. Couple that with Fletcher’s background as an ambitious, high-powered attorney and bona fide glass-ceiling breaker, and the result could test whether many right-leaning women are angry enough at the president to embrace a candidate they’d normally shy away from. More Texans generally support abortion rights than not, but the issue could be a tough sell among Republicans. A Quinnipiac University Poll from August showed that 56 percent of GOP voters favored a full or partial ban on the procedure. And Republicans are numerous here — more than 38,000 people voted in the Republican primary in March compared to around 33,000 on the Democratic side . Running west of downtown to upscale neighborhoods around Rice University and into well-to-do suburbs, Culberson’s district features mansions on manicured lawns, gated communities, French-style villas, top-dollar boutiques and the Houston Country Club. The median annual household income over $71,000 is 25 percent higher than the rest of Texas and the nation, and nearly a fifth of residents have post-graduate degrees. Republicans have dominated here since first sending George H.W. Bush, who still lives in the district, to Congress in 1966. But Trump lost to Clinton by 1.4 percentage points after Mitt Romney topped Barack Obama by 21 four years earlier. Culberson won re-election by 12 points two years ago. The 62-year-old congressman says it’s a mistake to assume that women offended by Trump’s reputation, notably the allegations of philandering, payoffs to mistresses and coarse remarks, would react by lashing out at him. One of his campaign offices shares space with a political group called the Village Republican Women and he’s planning an event in two weeks with Gov. Greg Abbott’s wife, Cecilia, to energize female supporters. That’s good enough for supporter Claire Silliman, who said she’s voting for Culberson despite Trump being a possible liability. “It could be a tough year for Republicans,” Silliman conceded. But she also said she can’t see many in the district voting for an ardent abortion rights supporter. Polls showing women’s support softening for Trump and congressional Republicans come amid anger fanned by the #MeToo movement and about GOP efforts to weaken the Obama administration’s health care law without devising an alternative. A graduate of Kenyon College in Ohio and Virginia’s College of William & Mary Law School, Fletcher, 43, became the first female partner of a high-profile corporate law firm in 2015. She says she’d like to appeal to the 33,000 people of both sexes who voted for Clinton and Culberson in 2016. But she also says 55 percent of district voters are women and has organized fundraisers and other events geared toward them, helping her outraise her opponent and rake in $1 million-plus heading into November. But some Houstonians say that her empowering women message isn’t enough to change their minds.